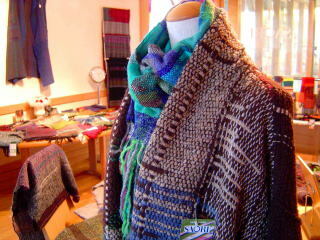 The studio is open 7 days a week from 9:30am to 5:30pm. You are welcome to weave anytime during those hours. Please note that we are closed for two holiday seasons during the calendar year: before and after New Year's Day (typically December 28–January 8) and around mid-summer in August (typically August 13–16). 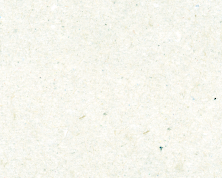 You can check our website and social media pages for the announcement of specific dates. Whether it is your first time or you already have previous experience with SAORI Weaving, you may drop in for a single, one-day session of weaving. 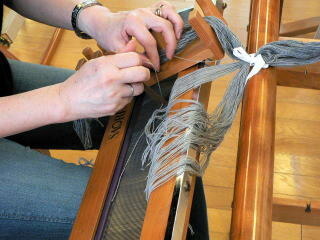 Choose from a range of pre-set warps and start weaving immediately. In just 2–3 hours, you can experience the joy of SAORI Weaving and weave a small tapestry or your own one-of-a-kind scarf or shawl. For those who would like a more in-depth understanding of SAORI Weaving and guidance through various processes of warping, threading, weaving and SAORI clothing design, we offer intensive workshops in English by appointment. These workshops are tailored specifically to your travel plans, weaving experience and hopes for learning during your time here. The Visitors' Class is a freestyle, semi-private class open to weavers of all experience levels that is held every day during the studio's open hours from 9:30am to 5:30pm. 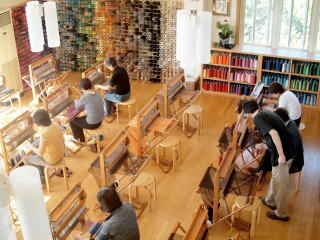 During a one-day session, you can choose from a variety of pre-set warps and start weaving immediately. 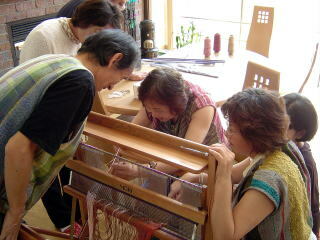 Our instructors will guide you through the philosophy and fundamentals of SAORI Weaving. 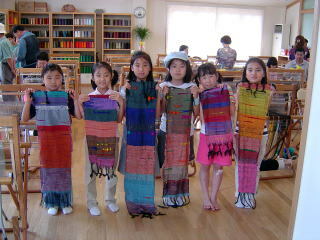 Feel free to weave throughout the duration of the class and take as many one-day sessions as you would like. Drop-ins welcome. For groups of 5 people or more, please e-mail us to make a reservation. Take a look at what you can do in our Visitors' Class. "Weaving on a SAORI loom at SAORINOMORI"
For those who would like a more in-depth understanding of SAORI philosophy and guidance through various processes of warping, threading, weaving and SAORI clothing design, we can arrange special, intensive workshops. These workshops are tailored specifically to your travel plans, weaving experience and hopes for learning during your time here. 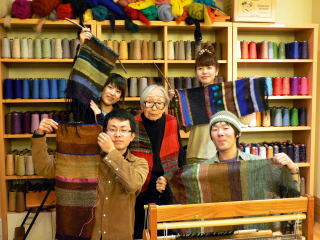 We recommend that you arrange an intensive workshop for at least 3 days for an introduction to various techniques and at least 1–2 weeks to have plenty of time to learn and practice, especially if you have recently started learning about SAORI Weaving and would like to weave by yourself at home. For weavers of all experience levels, we believe that weaving and learning in a relaxed environment as well as sharing with and being inspired by other weavers is very important. Please e-mail us for more information and to arrange a workshop. Copyright: Saorinomori/Sakaiseikisangyo Co., Ltd. All rights reserved.